Research by the University of Missouri shows a 25% increase in brood production in early Spring with the use of this product. 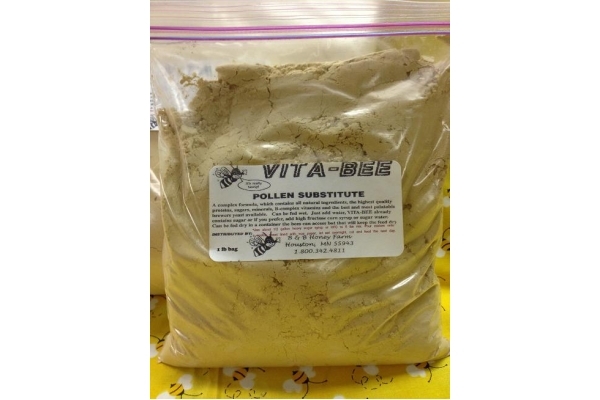 This product is f ormulated for hobbyist and commercial beekeepers alike. 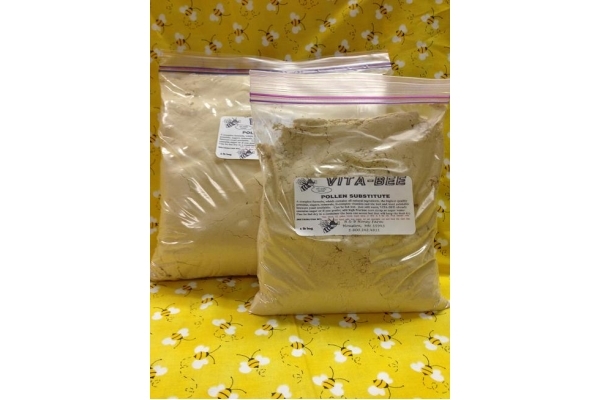 This is a complex formula which contains only pure, natural ingredients including the highest quality protein and sucrose and the most palatable Brewers Yeast available. 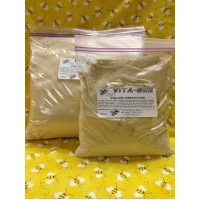 Vita-Bee contains 42% protein, more than 12 essential amino acids, B-vitamins and minerals. DISCOUNTS ON MULTIPLE 50LB BAGS, PLEASE CALL FOR INFORMATION. 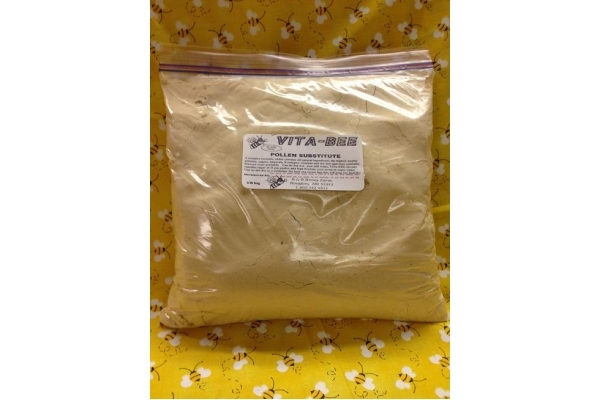 Vita-Bee can be fed wet or dry. Use about 1/2 gallon heavy sugar syrup or HFCS to 5lbs of substitute to make patties. Pour mixture onto a sheet with a half inch rim covered with wax paper. Let set overnight, cut and feed the next day. Mix syrup in slowly to ensure you do not get a runny mixture. You can also use Honey B Healthy mixed with HFC or a Sugar Water mixture to increase the vitamins and essentials oils in the finished patty. When using patties, it is best to place them between hive bodies rather than on top. You will get less drying and make the mixture most available to bees in adverse weather conditions. If you have extra patties left over you can freeze them in a freezer-safe bag for future use. Store in a container that the bees can access. Make sure the container will keep the feed dry. *Please select the quantity you would like to purchase using the "Available Options" drop-box.